Cape Town – Bell Pottinger Middle East, a subsidiary of the collapsed public relations firm Bell Pottinger, has been bought by a subsidiary of another PR giant, Hanover Group. According to a statement issued by Hanover in December, its subsidiary Hanover Middle East acquired shares of Bell Pottinger Middle East in Dubai and its operating licence for the branch in Abu Dhabi. Hanover operates globally and has offices in London, Brussels and Dublin. It started its operations in Dubai in April 2017, according to a report by magazine Campaign Middle East, which covers news for the advertising and media industries. 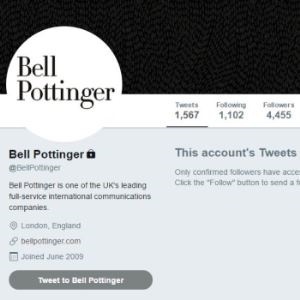 Bell Pottinger collapsed in September after it was kicked out of the UK-based Public Relations and Communications Association. Following a complaint by the Democratic Alliance which led to an investigation, the regulator found Bell Pottinger’s work for Oakbay and the Gupta family had likely sowed racial discord in South Africa. The firm filed for administration which has been managed by global accounting company BDO, which also had oversight of the acquisition by Hanover Middle East. Bell Pottinger Middle East has maintained that it was not involved in work done for the Oakbay accounts. “In fact we actively turned down the opportunity to do so,” Archie Berens, managing director of Bell Pottinger Middle East, previously told Fin24. In its statement Hanover noted that Bell Pottinger Middle East has “successfully traded through the affair” under the leadership of Berens. “The business has a raft of blue chip clients in the region, who have remained supportive during this time,” the statement read. Hanover founder and chief executive Charles Lewington believes Bell Pottinger Middle East is a “terrific business” with a “talented, professionally run” team. The acquisition will “supercharge” Hanover’s growth in the region, he said. Hanover expects its team of 125 in Europe, the Middle East and Africa to grow by 14 consultants; its fee income could grow by over £20m (or over R330m). Hanover Middle East managing director Jonty Summers will take over as MD of the combined business, and Berens will take the position as chairperson.